ethical issues at the beginning and end of life. Disability: The Basics aims to provide readers with an understanding of the lived experiences of disabled people and highlight the continuing gaps and barriers in social responses to the challenge of disability. This book is suitable for lay people, students of disability studies as well as students taking a disability module as part of a wider course within social work, health care, sociology, nursing, policy and media studies. 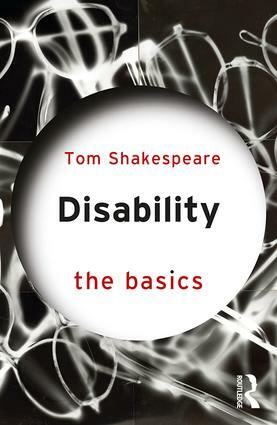 Tom Shakespeare is professor of disability research at Norwich Medical School, University of East Anglia. A sociologist by training, he has also contributed to debates in bioethics and cultural representation. He currently teaches medical students, social work students and others about working with disabled people. He researches independent living, mental health recovery and rehabilitation. He has been involved in the disability rights movement since 1986.